Wouldn't you like to have these for dinner? But, you work all day and need to have a dinner that you can make quickly. After all, tonight is karate night, and everyone needs to eat and be ready to go 45 minutes after you get home from work, right? Here's an easy fix! All you need are a frozen pork roast, a bottle of your favorite BBQ sauce, a slow cooker and a timer. 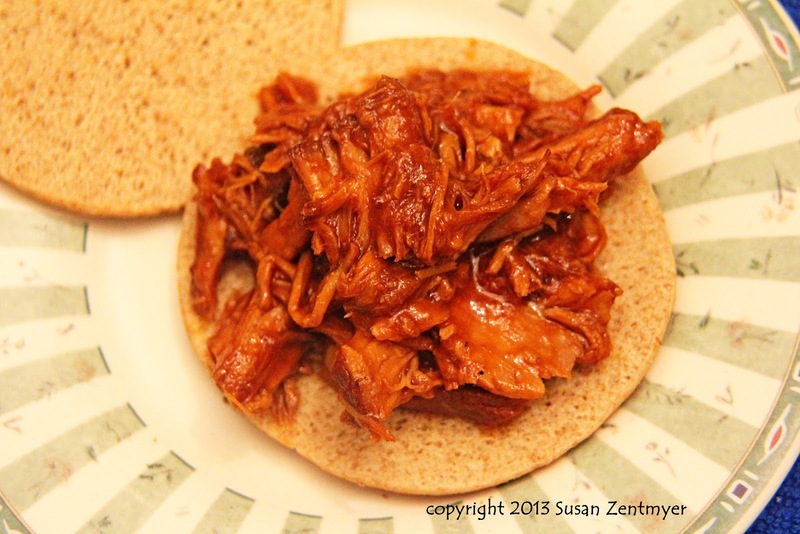 Before you head off to work, drop your frozen pork roast into your slow cooker. 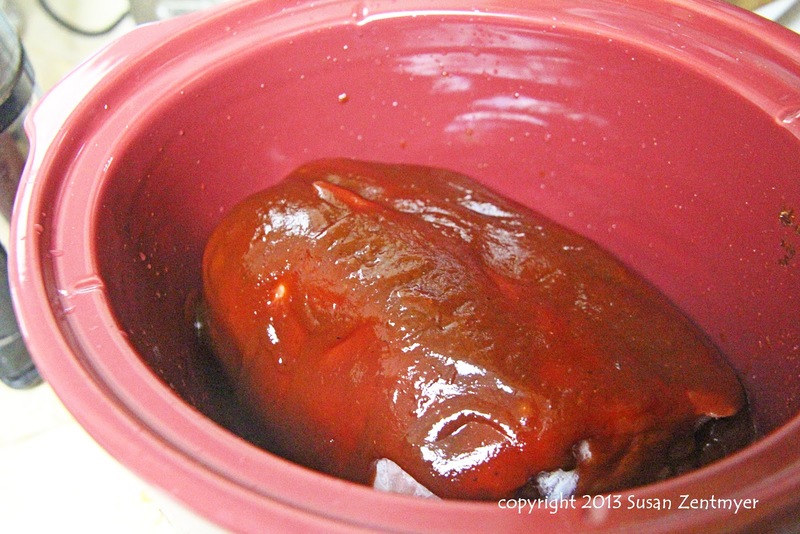 Pour the BBQ sauce over the meat and put the cover on the slow cooker. 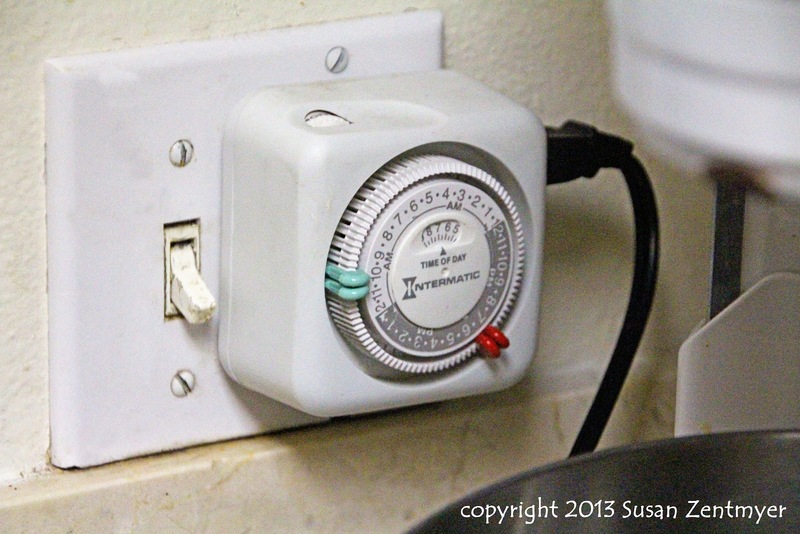 Now set your timer. It will take about 7 hours to cook on low, so set the timer to end about when you want to eat, count 7 hours back from there and that is where you set it to start. Maybe the most important part of this step is to make sure to turn on the slow cooker. Otherwise, you'll come home to cold and uncooked pork. Not that I know about this from experience. When you get home, shred the meat with two forks and serve! Easy, delicious and fast. My three favorite things for dinner. 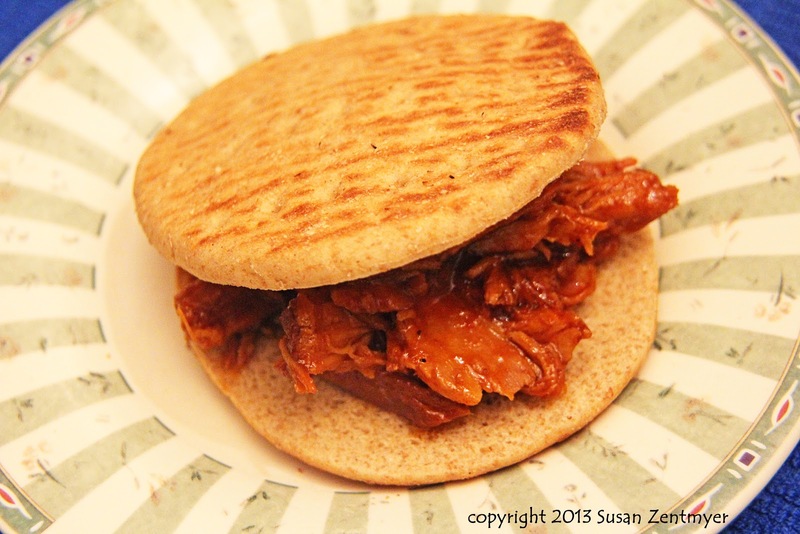 And if you are not a fan of BBQ, this works with a jar of pasta sauce or a jar of salsa. Don't have a pork roast to hand? Frozen chicken breasts work beautifully too! And that? 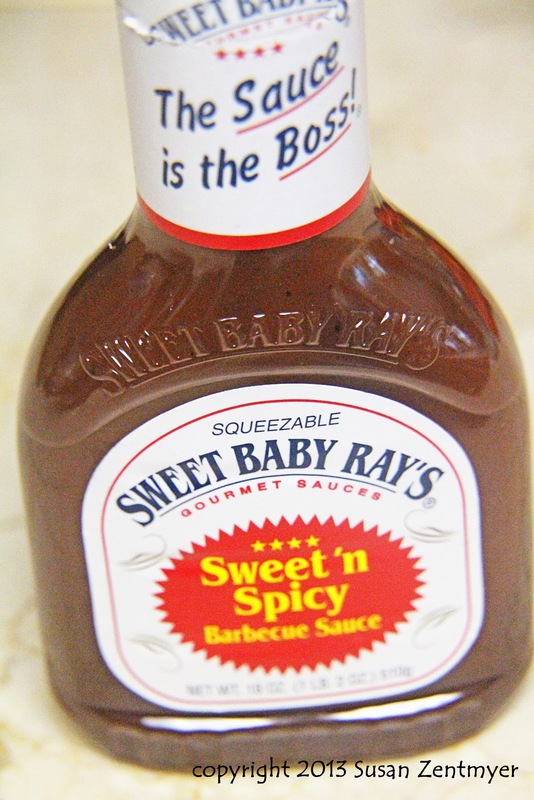 Is the best BBQ sauce EVER! Thanks, Susan. These look really good. I'm sure they will be a hit at What'd You Do This Weekend?